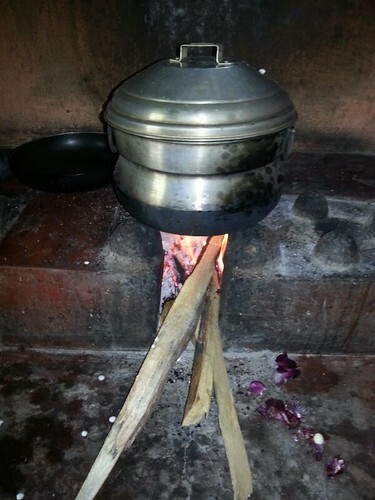 Aduppu also called Nerupodu is a traditional stove being used in Kerala, one of the southern state of India. It means pottery kiln or furnace for cooking food with the use of firewoods. It also means fire herth, stove, oven in Malayalam. 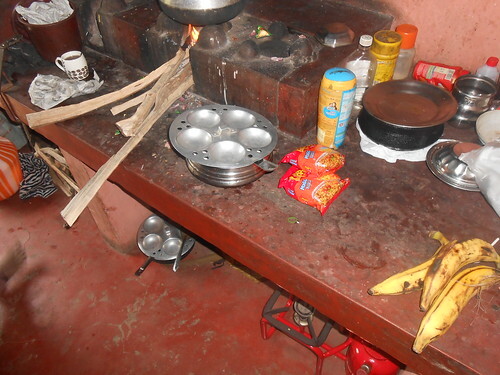 It is a stove which is used to cook food which is made out of clay. Normally firewoods which are collected from the backyard are used or they can be bought from local firewood dealers . Dried leaves (coconut leaves for example) are also used to make fire. Normally. 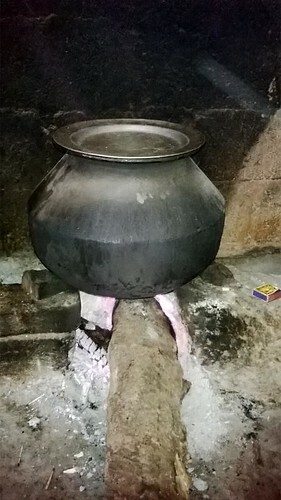 clay pots are used to cook food on Aduppu, but nowadays these have been replaced with saucepans and other metal vessels and electric and gas stove. 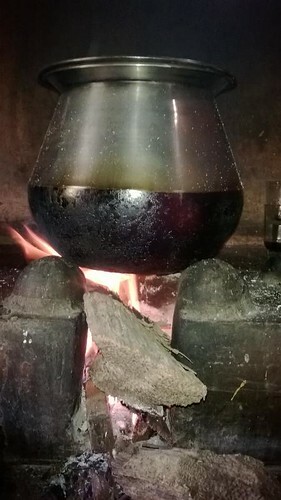 Cast iron stoves called the Kummati Aduppu. 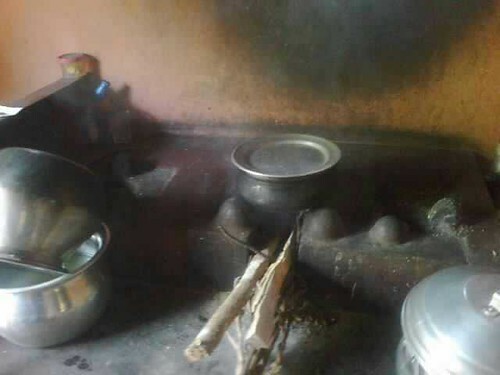 Many households and housewives still use Aduppu to cook their dishes and even some Chaya Kada (teashops) are still using this traditional stove. 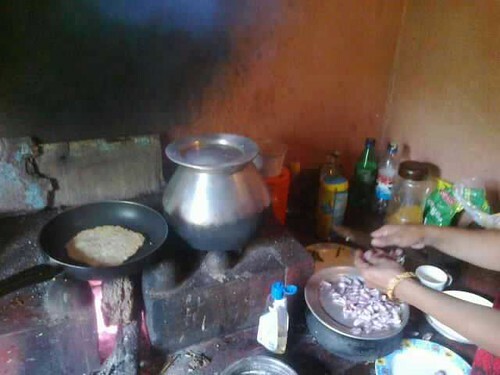 Below are pictures of some kitchens in Allepey (Alappuzha), Kerala, India which I was fortunate enough to visit which are still using Aduppu.